Neither MDFWP nor the Governor are willing to name the major factor creating low flows or “do everything” to stop the disease. There is a sacred cow they are afraid to name. Neither MDFWP, nor Governor Bullock are willing to connect the dots. In naming low flows and high temperatures, they are ignoring the ultimate cause of low water and high temperatures—which throughout Montana and the rest of the West is livestock production. Livestock trample the riparian areas along streams which are the sponges that hold and release water, especially late season flows. Throughout the West, especially on public lands, cattle grazing is the number one cause of riparian damage. And of course, all those green hay fields one sees along the Yellowstone River—well that’s the river spread over those fields. Throughout the West, those green patches of exotic water thirty grasses are only possible by degrading our rivers through water withdrawals. Irrigation is the number cause of stream dewatering and the reason many stream segments fail to meet state water quality standards. When fish are crowded together it increases competition for food and resting habitat and thus is a factor in stress. Low flows also mean any pools of water heat faster contributing to higher temperatures. Furthermore, even if the water diverted from a stream or river is subsequently returned to the stream, it is typically much warmer, which is another factor in high temperatures. But here’s the catch. The water in Montana rivers, as well as the rest of the West, does not belong to ranchers. It is owned by the citizens of the state. And any use, including the removal of water is subject to citizen approval. A water “right” is really a water privilege. We, the people of Montana, allow ranchers to use OUR water for their private profit. But this is subject to our approval. When in the exercise of that privilege it begins to infringe on the rights of the rest of us, then the government should step in and protect the rights of all citizens to clean high quality water. The citizens of Montana could decide that keeping more water in the Yellowstone river is more important to the state’s fishery and recreational industries than producing more hay for cattle feed. Indeed, it is a Public Trust obligation for the governor and state wildlife agencies to protect the citizen’s right to fish, recreation and high quality water. 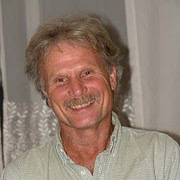 George Wuerthner is an ecologist who has written 38 books. He divides his time between Bend, Oregon and Livingston, Montana. Well said, George. The time to reduce and endorse graising and irrigation use permits is now. Our tax dollars are paying for Public Trust stewardship, or should be. I live on the river in Paradise Valley and we have a sad paradox. A low, warm river surrounded by dry parched grasslands,punctuated by verdant grass fields kept that way by water taken from the low river. The water is gifted to them by virtue of ‘water rights’ because they have senior claims over more recent arrivals to the valley. Many, but not all, could care less what happens to the biological health of the river as long as they get their water. A simple solution to some of the worlds greatest problems is to stop consuming animal products, this is no exception. These problems would not exist in a vegan world. That is the utopian solution the cattlemen might favor, precisely because what you personally do will mean so little, and because that message distracts from collective action that might actually work. George suggests the courtroom, but the ballot box is also useful. Current estimates suggest that ~500 million Indians (about 40% of the population) are vegetarians. So maybe it isn’t as ridiculous as you think. BTW, I eat meat (sparingly), but I can see where 9-12 billion people on this earth is heading. “The water it takes to produce the average American diet alone—approximately 1,000 gallons per person per day—is more than the global average water footprint of 900 gallons per person per day for diet, household use, transportation, energy, and the consumption of material goods. once again the problem is improper management, not the livestock itself. Proper management of livestock actually improves hydrodynamics better than even completely fallow. Something Vegans routinely fail to recognize. Might of missed it Farmer Joe but I don’t see anywhere in the slideshow you linked to, that meat is a necessary part of the diet to foster better health. An increase in vitamins & minerals? yes, better living conditions? yes, proper sanitation? yes, having a larger selection of fruits, vegetables & legumes available? yes. Interesting to note that obesity seem to be more prevalent in wealthy Indian society. Sorry, that comment should of been addressed to Mat-ters. Look at the Big Lost River in central Idaho. It used to run all the way out onto the desert through a stretch called Box Canyon. My dad used to fish there and the rest of the river. Now it’s dried up from just below the village called Leslie, about fifty or more miles. Blue ribbon trout stream. Now gone. All to grow mostly alfalfa for cattle. Some residents tried appealing to IDWR to stop all the withdrawals and pumping, to no avail. Cow interests were just too powerful. With climate change the river will most likely keep shrinking away on up the river until the whole damn thing is dried up. Sacrificed to spray it on alfalfa fields that keep proliferating up the valley, even though it’s already over-allocated by 200% or more. Cattle and money trump every other value. The Government and Livestock ranchers claim that wild horse’s cause more damage then livestock. Yah right what a joke. I for who has been grew with cattle and horse’s know for fact that cattle are more destructive than horse’s. The way things are going with livestock ranchers pushing horse’s into roundups and increase herds on public land’s and you can say goodbye to fish species, wildlife species,birds and native species of grasses and plants. There are documented cases in foreign countries where cattle destroying all kinds of species of birds, animals and plants and grasses that can never be replaced. You can thank the Livestock ranchers that are Senator’s in Congress for this. Cows are bad. So are horses. Horse impacts are negligible compared to to cattle. Does not make horses good. This report details a rough estimate of 37 cattle to every 1 wild horse on Forest Service and BLM land in 2014. I say rough, because their conclusions are based on AUM receipts, which can be applied to cattle, sheep, and domestic horse. It may be safe to assume that the majority are sold for cattle grazing. I’m not an apologist for wild horses, but our North American ecosystem did evolve with a native species of horse. They make more sense on the landscape than cattle, but not without their predators. Grazing of private livestock on public lands in the West contributes less than 3% to the total red meat production in America. The demise of this “way of life” simply needs to be expedited, as the overall ecological damage it inflicts can never be worth its pitiful economic return to a select few. Horses are wild and part of the ecosystem, cows are not they do a lot more damage. But Cows have powerful politics its all very sad. I wish the elk hunter wolf haters would have cows as bad as they hate wolves. Another apologist for feral domestic horses. 95% of the horses are kept by people. I hate cows. It’s not cause I’m a hunter, though it does motivate me to hunt, in order not to support raising cows. I read somewhere that if you give up meat three days a week that does more for Climate Change than selling you vehicle and riding a bicycle. Horses should be mostly left alone EXCEPT they need care. They need their hooves cared for, fleas removed, shots, you name it: veterinary. I’ve been up close to wild horses, either they were wild or let loose by lazy owners because of cost or for whatever reason and it wasn’t pretty. Ragged hooves, flea-bit, probably malnourished, uncombed, unwashed: miserable looking. Not at all the myth of a beautiful stallion with wind tossed mane in the sunset. They don’t really belong out there any more than cows do. Just one more example of the misunderstanding many hold of the Great American West that never was (after 1802)and never will be. Let’s leave the landscape alone and for the elk, deer, moose and all the little creatures. That status once was when the First People had it to themselves but it probably will never be again either, at least not before people exterminate themselves. I wrote this prior to reading the link above to the NYT. But the issue is being addressed at least, finally. The irony is what the ranchers in the story had to say. Referring to horses on the land as “it’s just hammered” or whatever she said, I mean “Really?”. 48,000 wild horses on the range (50,000 in ‘storage’), 350,000,000 people, and 94,000,000 cattle. Who is going to gobble up the lands, again? I always think that whether or not a horse is native to North America is a dishonest argument (I’m happy that the evidence points to them evolving here of course, don’t get me wrong, but we tend to selectively choose what science we like). There are many species that are non-native that we ‘allow’ here, cattle being one of them. The point is, whether they are native or not, the American public wants them on the range as a living symbol of our heritage and history, which was why the Wild and Free Roaming Horses and Burros Act was passed back in 1971 – like the bison, grizzly bear, and grey wolf. We, the American people, do not appreciate the government agencies chipping away at and making amendments to this law to cater to only a small portion of the population such as ranchers and the energy and mining industries, lying to the American public by secretly sending them to slaughter (very strong rumor surrounds Ken Salazar and Tom Davis), and treating them inhumanely. Wild horses do not need to ‘good homes’ and the American people do not need to be brainwashed into believing that – they are wild, and live out on the range, subject to the same as any other wild animals – living and dying wild. Like any wild animal, terrain keeps their hooves healthy, unnaturally living, domesticated horses need to have them trimmed. subject to the same conditions as any other wild animal, that should read. We want them, end of story. I don’t hate cows, it isn’t their fault. They are subject to abuse as much as any other animal! Human overpopulation, and prosperity-means-eat-more-meat are the beliefs that need to go, not the wild horses. Cattle aren’t native, but we don’t think there should be wild ones with no owners. American public is argument from popularity. Only unethical people would let their dogs go free, and so it should be for horses too. Tell that to Cliven Bundy, or to those who let their cattle run without supervision. No, we wouldn’t let dogs go free – but horses have been free for many generations, so they have reverted to a wild state. Was it unethical to let them go free centuries ago? It’s meaningless to say that now. The Mustangs were first brought here by Spanish explorers in the 16th century. Named derived from the Spanish ‘mustango’ meaning ‘ownerless beast’. What a perfect name – Yay! We want them as a symbol of our history and culture, and visitors to our country do to. Who wants to see nothing but sameness and man-made monuments to ourselves, cheap strip malls and tacky signage, and everything fenced in from one coast to the other? We want our bison, grey wolves, bears, coyotes and wild horses among others. There is no argument to inane to not use. Okay, if I have to choose, horses it is. Of course. I hate cows; who hates horses? I say, put me down, cows have to go. Where do I vote? This opinion writer (an outfitter AND chair of the MT FWP commission) gives livestock operators a pass–noted and contradicted by two comments posted to the piece. Type of irrigation can be the savior of our rivers and streams. We are slowly unwittingly desertifying our environment by unsustainable practices! We have gone from beaver dams on all of our tributaries filling “the sponge”, and giving return flow, to flood irrigation filling “the sponge” and giving return flow, to the government assisted so called water saving devices (sprinklers and center pivots) which give the air a little more humidity but give little if any return to “the sponge”. All the sprinklers have done is cut down on labor and put more ground (over appropriation ) under production. A place to start would be to compensate flood irrigation instead of cost sharing (NRCS) for programs for so called water savings. Return flow keeps the wetlands and waterways filtered and flowing year around. With responsible livestock grazing and good return flows, riparian areas and even all areas can be healed and be sustainable. The best place to store water is in the soil. “The Soil Will Save us” by Kristin Ohlson is a great read about sustainability.